Jane Leach BSc (Hons) ANC GD Dip ST Hort. An innovative designer and landscaper with a practical background in plant science and production, horticultural consultancy and conservation, Jane established landscape botanica in 2000 as an award-winning Landscape Design graduate. 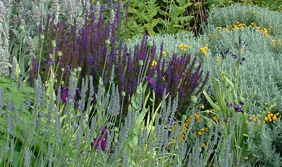 She has since developed an excellent reputation for inspired, creative design, together with quality construction and imaginative planting. Creative, friendly and forward thinking, landscape botanica works with private garden clients, from small urban to large country gardens and on commercial landscape projects, from school grounds and industrial sites to public parks and wildlife and conservation schemes, providing a complete in-house design and landscaping service from initial plans to construction, planting and beyond. Architectural design and artistry is complemented by imaginative naturalistic planting and quality hard and soft landscaping to create distinctive functional low-maintenance gardens and landscapes that fit with their natural surroundings and will endure with time. Sensitivity to clients’ wishes, fine attention to detail and quality of finish are complemented by efficiency, sustainable practice and ecological awareness. 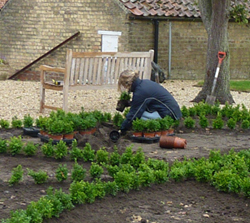 Projects worked on to date in Lincolnshire, Yorkshire, Nottinghamshire and Norfolk include a diversity of attractive gardens ranging from small urban courtyards, herbaceous borders and organic vegetable gardens to large country gardens, from traditional to contemporary style, low maintenance to plant-rich and wildlife-friendly spaces. Landscape botanica has developed a reputation for producing creative landscape plans that have been successful in attracting significant grant funding for clients. Recent commercial projects include the design and landscaping of school grounds, industrial sites, public parks and amenity projects, churchyards, sensory gardens, housing developments and care homes, landscape plans for planning permission submissions, wild flower meadows, wildlife and conservation schemes for The Wildlife Trust, heritage projects, golf course layout, horticultural consultancy and horticultural therapy projects. 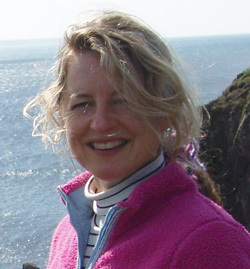 Jane is qualified in therapeutic horticulture and professionally trained to tailor a variety of horticultural services to clients’ requirements, from the design of sensory gardens and landscaping of care homes to the provision of horticultural training and activities for both commercial organisations and private individuals.